Head of Unit of the Institute of Atmospheric Sciences and Climate of National research Council (CNR-ISAC) of Padua, Physicist, Senior research. Field of expertise: microclimatology, environmental sciences and conservation of cultural heritage, energy saving. She has published more than 200 scientific papers, 2 books and two patents. Since 2002 Professor at the University of Ferrara. Since 1stFP she participated to European projects. 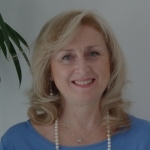 She has been responsible for a number of national and international projects, in particular coordinator of 4 EU projects: VIDRIO-EVK4-CT-2001-00045 (FP5), TeACH-ENV-2007-212458 (FP7), NANOMATCH-ENV-NMP.2011.3.2.1-1 (FP7) and Cheap GSHPs-2015-657982 (H2020). In the 7FP partner of 4 EU Projects MESSIB- NMP-2007-LARGE1, H-KNOW-NMP-2007-214567, EcoShopping-EeBNMP.2013-6 and EFFESUS-EeB.ENV.2012.6.6-2. Evaluator in the VthFP, for the Italian Ministry (MIUR) and for JPICH/JHEP. Since 2004 coordinator of the WG4 “Energy and Environment” in ECTP-FACH and delegate inside the ECTP-JTI-E2B. Coordinator of the Cluster “NanomeCH: Nano and Advanced Materials for Cultural Heritage”. Member of the National Consultation Panel and list of experts for the JPI. Responsible of a spin-off in the field of environmental monitoring and energy efficiency in buildings. Member of international and national working commissions concerning artworks conservation, pollution effects and energy saving and Standards (UNI and CEN). Tor Broström - Prof. Dr.
Tor Broström is Professor in Building Conservation and Head of the Center for Energy Efficiency in Historic Buildings at Uppsala University, Sweden. He has a Bachelor of Science in Engineering, Princeton University, a Licentiate of Technology from Chalmers Institute of Technology and a PhD from the Royal Institute of Technology. His research profile is energy efficiency and indoor climate control in historic buildings. Currently he is in charge of research projects directly involving eight senior researchers and four PhD students. 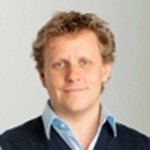 He is the scientific coordinator of the Swedish National R&D Program on Energy Efficiency in Historic Buildings and Swedish representative and co-convenor of the CEN work group on European Guidelines for Energy Efficiency in Historic Buildings. 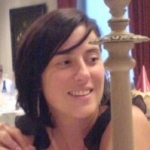 Camilla Colla is a researcher in the DICAM Department (Civil, Chemical, Environmental and Materials Engineering) of Bologna University, Italy and assistant professor in the Building Science scientific sector. 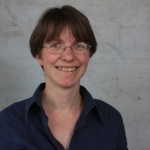 She is preservation architect from Politecnico di Milano, I, holds a PhD in Civil Engineering from Edinburgh University, UK, then she is a post-doc in BAM, Berlin, Germany until 2001 when she leaves as “Projekt Leiterin”. Back in Italy, she reasearches and teaches in Politecnico of Milano before moving to University of Bologna. During all these years, she is active in national and international technical committees, contributing to innovative standards and guideline documents. Her expertise is in development and further development of non-destructive testing techniques and their combined application for the diagnose of existing and historical masonry, timber and concrete structures and cultural heritage constructions. She experiments with advanced acoustic, electromagnetic and mechanical testing methods, wireless sensing and optical monitoring (DIC) for the evaluation of materials, structural elements, microclimatic conditions. More recently she has developed novel experimental procedures for combined structural + energetic assessment of buildings, particularly of cultural heritage, which has been applied on a number of cases. She is member of University of Bologna’s integrated team Alma Heritage Science and has conducted state-of-the-art and large testing campaigns also on monumental and UNESCO sites (including Ghirlandina bell tower in Modena, Herculaneum, Modena Cathedral, …). She has procured participation in European and national research projects then leading the local research unit and being responsible for various case studies. Camilla has supervised over 50 final-year students and 3 PhD students (one on-going). She is referee for international scientific journals and is author of nearly 200 papers about 125 of which in international journals and conferences. She teaches structural, energetic and non-destructive diagnose to civil engineering and conservation science master students. Michael de Bouw - Prof. Dr. Ir.-Arch. Michael de Bouw holds a MSc in Civil Engineering and Architecture (VUBrussel), and a PhD in Engineering Sciences (VUBrussel) with regard to the assessment of historic buildings. As a Project Manager at the Lab of Renovation of Belgian Building Research Institute (BBRI), he coordinates a technological support service concerning sustainable building and sustainable development and several other projects. Besides his appointment at the BBRI, he is professor at the University of Antwerp within the Master of Monument and Landscape Conservation, where he is in charge of several technical courses and supervises different PhDs. 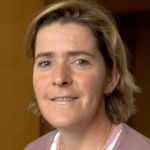 Hilde De Clercq is a chemist and obtained a PHD in science, polymer chemistry at the University of Ghent (1993). Since October 1994 she works as researcher in the department Laboratories of the Royal Institute for Cultural Heritage, Brussels. From December 2006 she is the Head of this Department as well as the head of the section Monuments. the identification and application modalities of conservation products for monuments. Filip Descamps - Prof. Dr. Ir.-Arch. 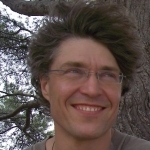 Filip Descamps, born 1965 in Belgium, graduated from KU Leuven in Architectural Engineering and holds a PhD in Engineering at KU Leuven (division of Building Physics) in 1997, on continuum and discrete modelling of isothermal water and air transfer in porous media. He is a co-founder and partner of Daidalos Peutz bouwfysisch ingenieursbureau, an independent building physics engineering office in Leuven, Belgium. 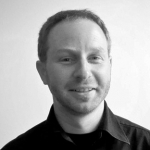 His consultancy focuses on building physics simulation (energy, daylight, solar shading). He collaborated at both restorations (BOZAR Brussels, Boekentoren Ghent) and nearly zero-energy buildings (AGC Headquarters, Louvain-la-Neuve). He’s a part-time lecturer at Vrije Universiteit Brussel, department of architectural engineering since 2005. 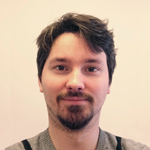 Samuel Dubois holds a MSc in Bio Engineering (ULB/Gembloux ABT), and a PhD in Environmental Sciences and Technologies (Gembloux ABT) with regard to the modelling of the hygrothermal behaviour of construction materials. 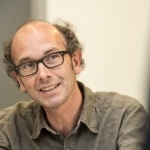 As a Project Manager at the Lab of Renovation of Belgian Building Research Institute (BBRI), he is active in the coordination for several research projects linked to the Building Retrofit sector. Graduated as architect with a post degree in Restoration and Rehabilitation of the Historic Architecture and a master degree in Urban Management and Valuation. Working in the design of master plans for the conservation of cultural heritage at building and urban level. Working in international cooperation projects for technological transference in the cultural heritage field. Main research line is about decision making processes regarding the improvement of the liveability in historic building and cities, principally through the improvement of their accessibility and energy efficiency. Working in several coordinating teams of European and National research projects (EFFESUS- Energy Efficiency for EU Historic Districts’ Sustainability, FASUDIR- Friendly and Affordable Sustainable Urban Districts Retrofitting, REACT- Resilience, Accessibility and Conservation for Historic Cities among others) developing decision making methodologies, information models and software tools for the improvement of the energy sustainability of buildings and historic districts. Currently finishing a PhD on decision making processes for improving the energy efficiency in historic districts using multiscale information management. 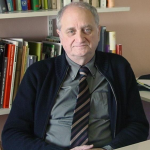 Arnaud Evrard - Prof. Dr. Ir.-Arch. 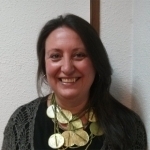 Sofia Gomes da Costa is responsible for the coordination of cultural projects and activities in the Spanish Historic Houses Foundation (Fundación de Casas Históricas y Singulares) since 2009. She has a Master on Cultural Heritage Management, a Master on Business Administration and has also a research degree (post graduated studies) on Medieval and Renaissance History. She has a wide experience in securing grants and coordinating cultural projects focused in Heritage, especially in the areas of museums and historic buildings. She has worked with other cultural entities as the National Museum of Fine Arts, National Museum of Romanticism (both in Madrid and dependent of the Spanish Ministry of Culture), International Committee of Museums- ICOM etc. Sofia is proficient in Portuguese (her mother tongue), Spanish, French, English and Italian. Carsten Hermann is a conservation architect working as Senior Technical Officer at Historic Scotland, Scotland’s national body safeguarding and promoting the country’s historic environment. Carsten advises on and researches sustainable building conservation, including the management of research and refurbishment projects. He specialises in energy efficiency of historic and traditional buildings and in conservation of 20th century built heritage. He is Historic Scotland’s lead on the EFFESUS project, a research project, co-funded by the European Union, investigating energy efficiency of European historic urban districts. 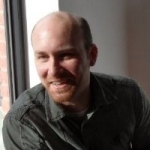 Carsten studied architecture and worked in construction and project management in Germany, India and the UK, before settling in Scotland in 2005. A chartered architect accredited in building conservation, he has worked for several years for conservation architects in Edinburgh, before joining Historic Scotland in 2009. Nigel Isaacs has studied New Zealand building energy use and end-uses in both residential (Household Energy End-use Study (HEEP)) and non-residential buildings (Building Energy End-use Study (BEES)). 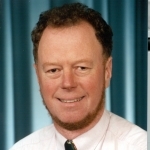 For the past decade he has explored the history of NZ building technology, including the teaching of a specialist course for 2nd year building science students, publishing numerous articles as well as several series of talks on Radio New Zealand. His doctorate examines the development of the technology of the New Zealand house. Ralf Kilian - Dr.-Ing. Dipl.-Restaurator Univ. Ralf Kilian studied Civil Engineering and Restoration, Technology of Arts and Conservation Science at the Technische Universität München, Diploma degree in 2004. Since July 2008 he is head of the working group “Preventive Conservation and Heritage Preservation” at the Department of Indoor Environment at Fraunhofer Institute for Building Physics, Holzkirchen. His research deals with the problems of monument preservation and energy efficiency, sustainability in retrofitting museums as well as with the indoor climate in historic buildings and climatic impacts on works of art. Ralf Kilian is an active Member of CEN TC 346 “Conservation of cultural property”, WTA “Climatic stability of historic buildings”. He is one of the scientific coordinators of the large-scale integrated EU-Project “Climate for Culture” that started in November 2009. Ralf Kilian finished his PhD “Climate Stability of Historic Buildings – Assessment of Hygrothermal Building Simulations in the Context of Preventive Conservation” in 2013.
thermal insulation materials; thermal transmittance by measurements and calculations; energy efficiency of buildings; hygrothermal properties of materials. José Luiz González -Prof. Arch. PhD in Architecture from the School of Architecture of Barcelona. Professor of Architectural Construction at the Polytechnic University of Catalonia and postgraduate professor of Architectural Restoration. Invited by several European and Latin American universities. Numerous interventions in buildings of architectural heritage as the church of the Colonia Güell, Casa Botines and Gaudi’s Palau Güell, or studies, such as the cathedrals of Lleida, Castelló d’Empúries or Mallorca. Author of numerous articles and books. Editor on behalf of the Superior Council of Colleges of Architects of Spain document “Implementation of CTE to the works of Architectural Restoration” (2009). Director of the research project “Improving the energy efficiency of buildings of heritage value: investigation of real cases”, awarded a research grant from the “RecerCaixa” and the Catalan Association of Public Universities (2011). Director of the Organizing Committee of the International Workshop “Heritage Buildings and Energy Efficiency. Conflicts and Solutions” (2013). Staf Roels - Prof. Dr. Ir. 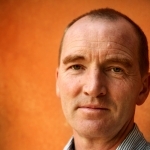 Staf Roels earned his master title of civil engineer-architect at the university of Leuven (KU Leuven) in 1990. After gaining practical experience as civil engineer and architect he returned to the KU Leuven 1996, where he started working as research fellow. In 2000 he defended his Ph.D. thesis, entitled “Unsaturated moisture transport in heterogeneous limestone”, at the Faculty of Applied Sciences. In 2001 he became part-time assistant professor, in 2004 full-time associate professor and since 2007 full professor at KU Leuven. He lectures on building physics, building construction, performance based design and applied building physics. His research mainly focuses on HAM (Heat, Air and Moisture) transport in porous building materials and the analysis of the hygrothermal behaviour and durability of building components and buildings. He is author or co-author of more than 200 research papers of which 60 in international journals. At the moment Staf Roels has a lead task in some national and international research projects in the area of heat, air and moisture transfer in building constructions and in the area of integral building performance assessment. 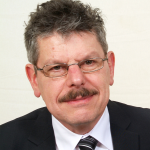 Henk Schellen - Prof. Dr. Ir. dr.ir. H.L. 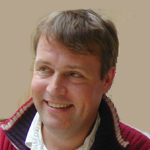 (Henk) Schellen is an associate professor on building physics of monumental buildings at Eindhoven University of Technology. He is specialized in heat and moisture transfer in buildings. His main expertise is on building physical measurements and simulation. He became interested in, and worked on, building physical heat and moisture problems in monumental buildings, like churches and museums. His research resulted in a PhD thesis “Heating Monumental Churches; Indoor Climate and Preservation of Cultural Heritage”. Henk worked on, and has interest in, research and development of building physical measurement apparatus such as development of heat flux devices, development of guarded hot-plate apparatus and hot box apparatus, research on accuracy of building physical measurement devices and apparatus, numerical computer modelling and simulation of building physical phenomena, research on building physics of monuments and heritage, research on church heating, research on museum indoor climate and research on climate change effects on monuments and cultural heritage. Henk is frequently invited to give his opinion on building physical and indoor climate problems in Dutch museums and monumental buildings like the Anne Frank House, the Rijksmuseum, the Rembrandt House, Maurits house, Fortress Fort Aan de Hoek van Holland and some 30 monumental churches. As a result of the experience gained on these subjects, he is often invited to give lectures on subjects related with monumental buildings and heritage. He has been or is supervisor of about 10 PhD students and about 60 final year MSc students. He has authored or co-authored over 20 scientific journal papers, more than 80 academic conference contributions and about 30 professional magazine articles and 120 scientific reports. He worked on 5 international and about 70 national projects. 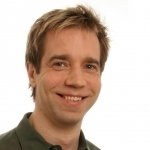 Fredrik Ståhl is a researcher at the department of Building physics and indoor environment at SP. His research is mainly focusing on energy efficiency in existing buildings. He has led two Swedish projects regarding historic buildings: ‘Potential and policies for energy efficiency in buildings built before 1945’ (in Swedish) and ‘Sustainable and careful renovation and energy efficiency in cultural historical buildings –a pre-study’ (in Swedish). Both these projects are part of the Swedish Energy Agency’s research programme ‘Spara och bevara’ (Save and Preserve). Today he is part of the SP research team in the ongoing EU project RIBuild (Robust Internal Thermal Insulation of Historic Buildings). Alexandra Troi has an engineering background and her major field of interest is on energy retrofit of historic building. She has been building up and co-leading the Institute for Renewable Energy of the European Academy of Bozen/Bolzano Italy since 2005. After earning a degree in electrical engineering, she became an energy consultant in buildings. Afterwards, she earned a PhD from the University of Munich in “church heating – balancing comfort, cost and conservation” and specialized in the interface between energy and conservation. Her major field of interest is energy efficiency in historic buildings and one of her key competencies is the monitoring and simulation of environmental conditions and their interrelation with cultural heritage, with which she contributed also to best practice examples as e.g. the retrofit of Ansitz Kofler (Bolzano) and Villa Castelli (lake of Como). 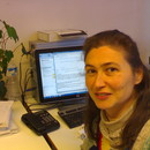 She has been coordinating FP7 project 3ENCULT (GA n°260162) and is collaborating with FP7 project EFFESUS (GA n° 314678). Moreover, she provides expertise in committees both on a regional (e.g. round table of the city of Bolzano on energy refurbishment of historic buildings) and an international level (e.g. CEN TC 346). Koen Van Balen - Prof. Dr. Ir.-Arch. 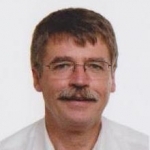 Koenraad Van Balen (°1956) is Belgian, graduated as an Engineer Architect at the KU Leuven (Belgium) in 1979; obtained a post-graduate degree in architectural conservation in 1984 and a Ph.D in Engineering in 1991 at the KU Leuven. He is full-professor at the KU Leuven, the Civil Engineering department. He is the director of the Raymond Lemaire International Center for Conservation (RLICC) at the University of Leuven, holder of the Unesco chair on preventive conservation, monitoring and maintenance of monuments and sites since 2008. He is/was member of different heritage organisations. He acted as advisor to the Council of Europe, the European Commission, and the Getty Foundation. He was a visiting scholar at the Getty Conservation Institute in Los Angeles. He managed different research projects dealing with heritage preservation, ancient and new sustainable construction materials. Amongst others he led the research carried out by the RLICC on Heritage Counts for Europe in collaboration with Europa Nostra. He is member of the Scientific Committee of the European wide research coordination initiative “Joint Program Initiative: Cultural Heritage (JPI-CH)”. Ana Yáñez is the Director of the Spanish Historic Houses Foundation (Fundación de Casas Históricas y Singulares) and its General Secretary since 2000. 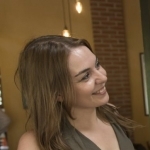 She teaches, also since 2000, Administrative Law at the Complutense Univerity of Madrid (Facultad de Ciencias Políticas y Sociología de la Universidad Complutense de Madrid). Ana has published more than twenty articles on Cultural Heritage and spoke on several national and international conferences about Heritage. 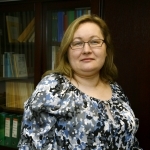 She acts as reviewer on different scientific magazines and she is member of the Network of Experts of CEI in Cultural and Natural Heritage (PatrimoniUN 10). 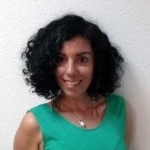 She also belongs to the committee of the Facultad de Geografía e Historia de la Universidad Complutense de Madrid that is in charge of the design and development of a new Master on Management of Cultural Heritage on the XXI Century.